Also see Log in using Auvik’s two-factor authentication for more details. Two-factor authentication (also known as two-step verification) adds an extra level of security when logging into your Auvik account. Unlike Auvik’s two-factor authentication, AuthAnvil two-factor authentication can only be turned on at the account level, where it will apply globally to all users and all clients. Each Auvik user must have an account on your AuthAnvil server. After entering the email address and password associated with your Auvik account, you’ll be presented with the AuthAnvil two-factor authentication page. Here, enter your AuthAnvil username, PIN, and one-time password. If you’re using AuthAnvil on demand (cloud), the PIN is always 1111. 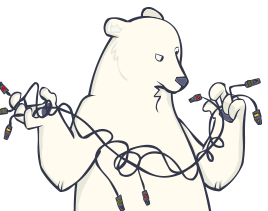 If you’ve lost your two-factor access to Auvik because the AuthAnvil server to which the configuration is connected has failed, contact support and let us know. We’ll clear the configuration, allowing you to reset your AuthAnvil configuration. How do I enable two-factor authentication for my company? How do I edit, or delete existing users?